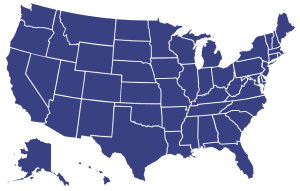 Why Express Modular in New Hampshire? When it comes to choosing your custom home builder in New Hampshire, you want to select someone that you can trust and that has the knowledge and experience you can depend on throughout the process. Building a custom home is a process. Much planning goes into designing and building a new home. You will have many questions during the process. Inevitably, something will come up… a weather delay, a material issue, a change in plans. That is when you want someone with the knowledge and experience of Express Modular on your team. We are the only national custom modular home builder. Our growth was a natural result of our success at helping customers get what they wanted; a custom home and an enjoyable, consistent building process. Modular construction is technically a building process, not a type of home. When building a home with modular construction, we actually start by taking the finished design and dividing it up into sections or segments called modules. Each of these individual modules are built in a factory assembly line process. Each module is individually completed, packaged and prepared for delivery to your home site. The home arrives on carriers and is lifted by a crane from these carriers and placed gently on your foundation. Custom homes can consist of as little as two modules and can sometimes be 15 or more modules for very large homes. Homes are essentially assembled like LegoTM bricks until your home is completed. The modules are then “stitched” together onsite. This means that every opening between the modules are finished on site which takes much less time to complete than conventional onsite construction. Within weeks a very large home can be completed and ready to move into. Many believe that value is the main reason to use modular construction when building a new home. While our building processes do produce a superior value, that is actually ranked third as the reason. Some believe it is the reduced timeframe it takes to completed modular homes. That is important for many but ranks second when it comes to selecting a modular home. The number one reason that most home buyers ultimately choose to use modular construction is the quality of the home. By building in a factory, quality is controlled throughout the process, much better than can be managed with onsite, outdoor construction. 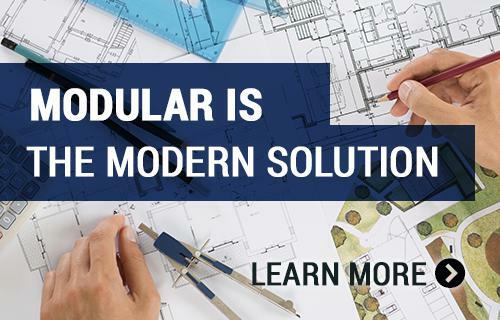 Couple the quality of modular construction with its design flexibility and it is an unbeatable combination when choosing to build a custom home. We can built a home using virtually any style. It can be a ski chalet overlooking the slopes at Gunstock Mountain, it can be a cabin tucked away on the Androscoggin River, a cozy cottage in Hanover, or any style in between. We offer over 1,000 floor plans which we customize, or can even build complete custom homes starting with a plan you provide. When it comes to building your new home, choose the modular advantage. New Hampshire offers many scenic and recreational resources. Vacation attractions include Lake Winnipesaukee, largest of 1,300 lakes and ponds; the 724,000-acre White Mountain National Forest; Daniel Webster’s birthplace near Franklin; and Strawbery Banke. Interested in building in New Hampshire? We have an extensive selection of modular home plans and a consultant for your area who is waiting to help you with every detail along the way. Let's get started!